West Beckwith Mountain in the Gunnison National Forest, Colorado. The vast landscape of this Colorado Mountains region is breathtaking. Add this home wall decoration to the entrance way of a home to exhibit feelings of richness, warmth and fulfillment. 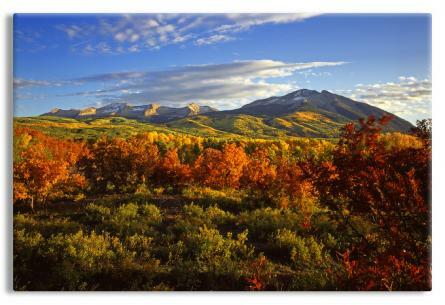 The West Beckwith Mountain in the Gunnison National Forest in Colorado creates a beautiful wall décor piece that gives the viewer a feeling of joy when looking at it.